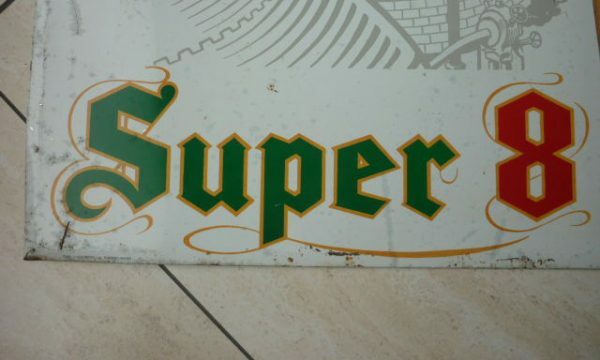 I saw this enameled plate for a Belgian beer brand at an auction. It was manufactured in Antwerp in 1965, the same year that Kodak introduced super 8 film at the 1964-65 Worlds Fair. 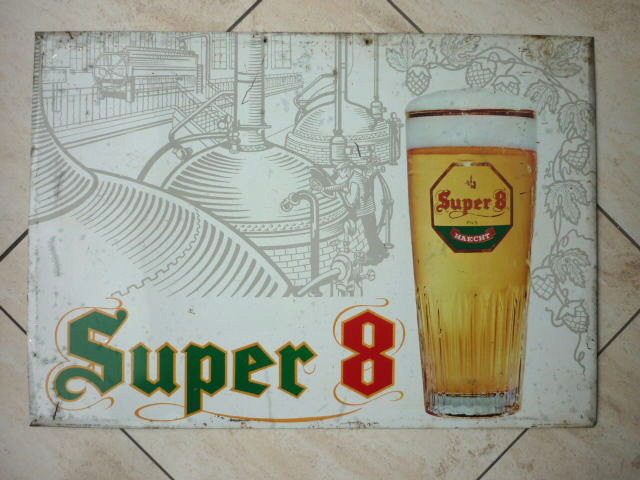 My research shows that the Super 8 beer is still brewed by the Haacht brewery.